Minor Update 4/20/2018: I fixed an issue with the 2x3 lit table. Both resets are now recolorable. Also reorganized folders and added a collection file. This is the second of probably four "neutral" (non-divisional) sets. Since the dining hall/kitchen/replimat set was such a huge undertaking, I broke it up into two parts. As per usual, it blends seamlessly with the objects from the other Midnight sets. 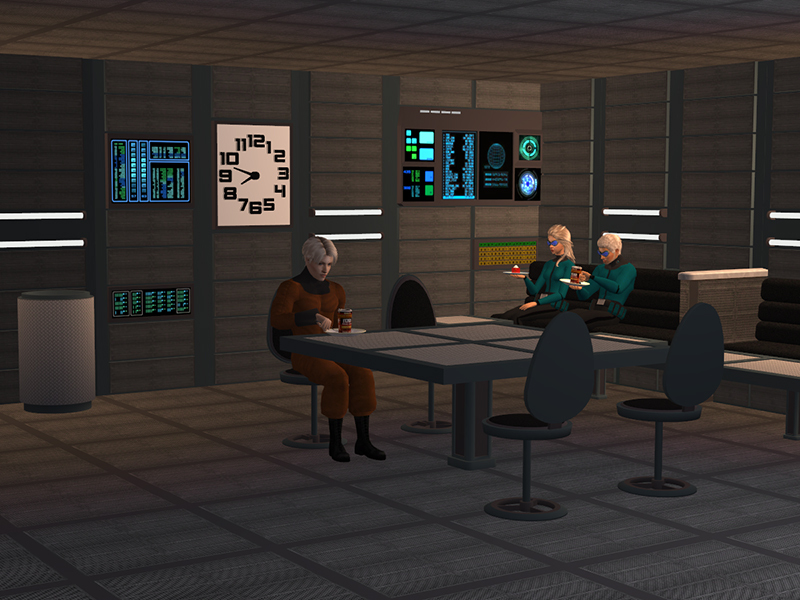 This set is for build-to-suit dining areas and replimats. 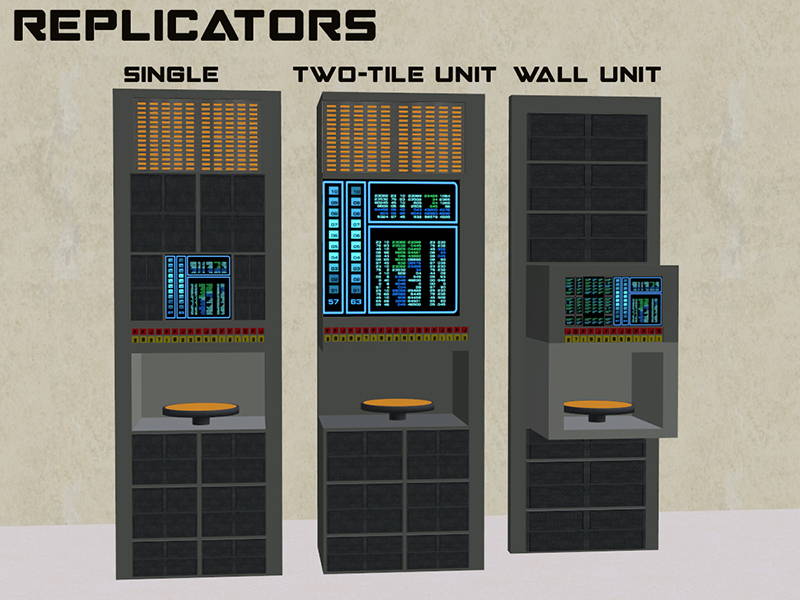 Replicators and Matter Retreival Units: The replicators spawn any food you like. 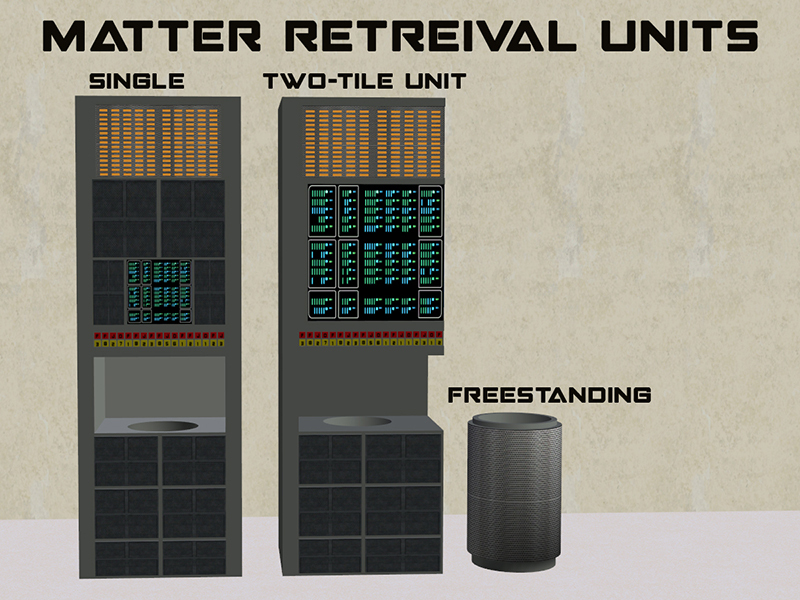 The matter retreival units disintegrate plates, trash, and uneaten food. This set contains three of each. 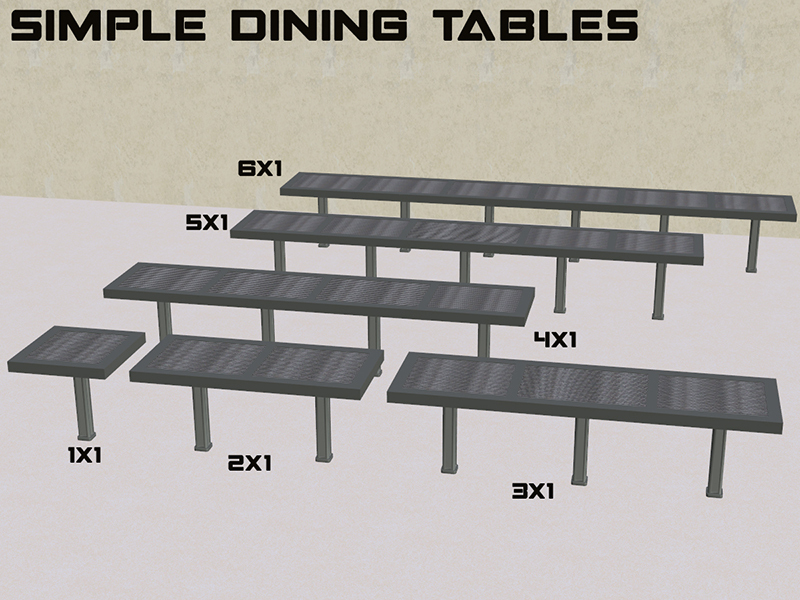 Tables: Tables in various sizes and lengths, to build your dining room however you like. One set has just the base texture, and the other has a subdued glowing surface. 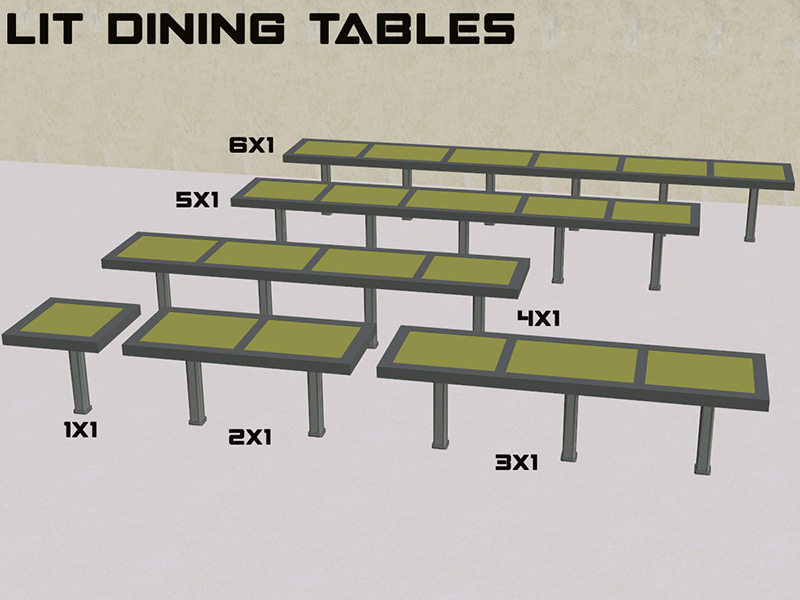 A total of nine simple and nine lit tables. Seating: Two dining chairs, a loveseat, and a sofa. Sophie-David for the base object I used for the matter retreival units. 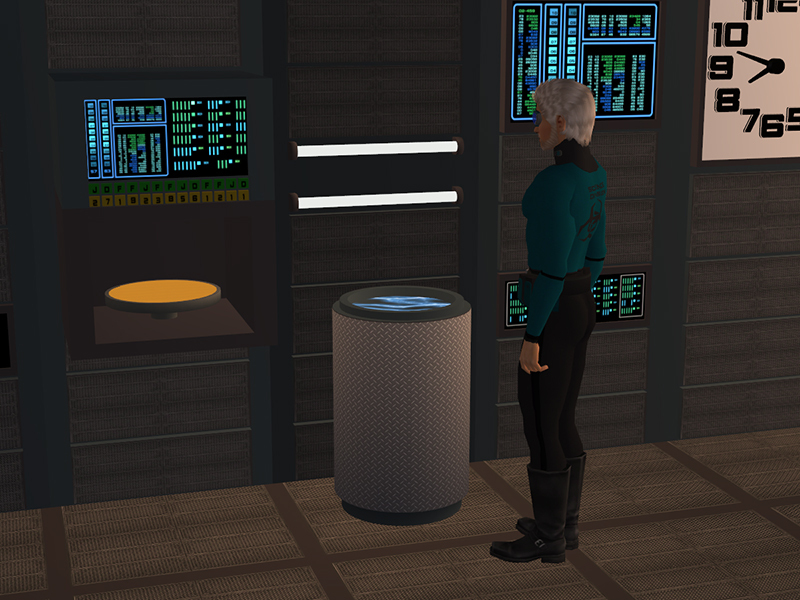 Palladin's Place for the original replicator object. The site no longer exists :(. 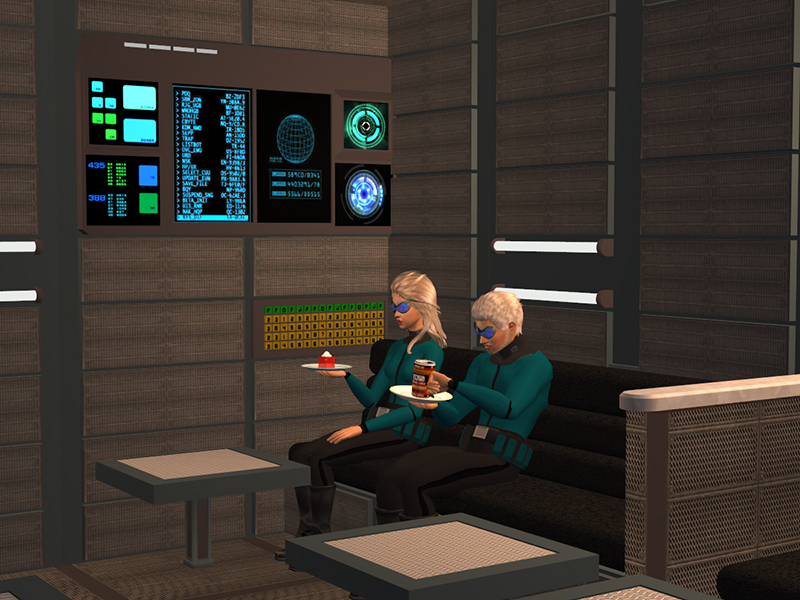 Egghead stuff: The replicators can spawn most foods in the game. The two-tile unit is the "right half" of a set and is designed to be used with the two-tile matter retreival unit. 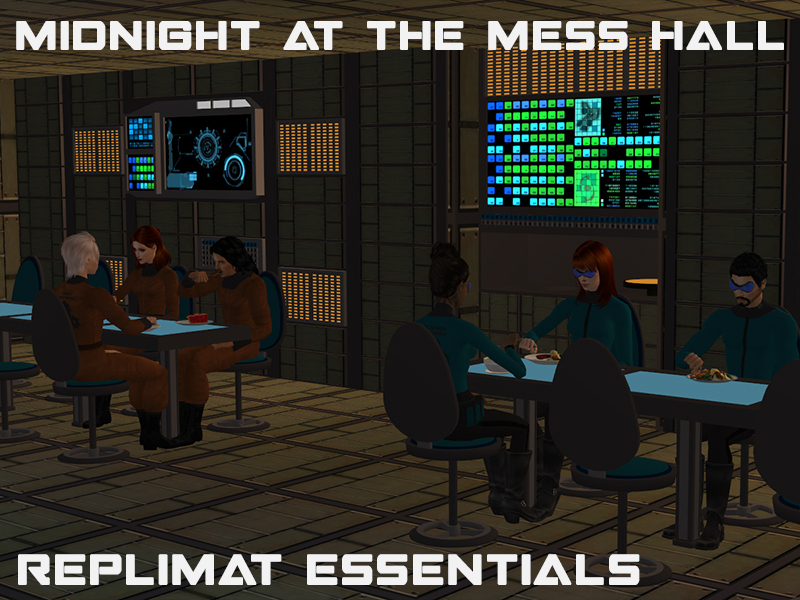 Egghead stuff: The matter retreival units disintegrate plates, trash, and uneaten food. 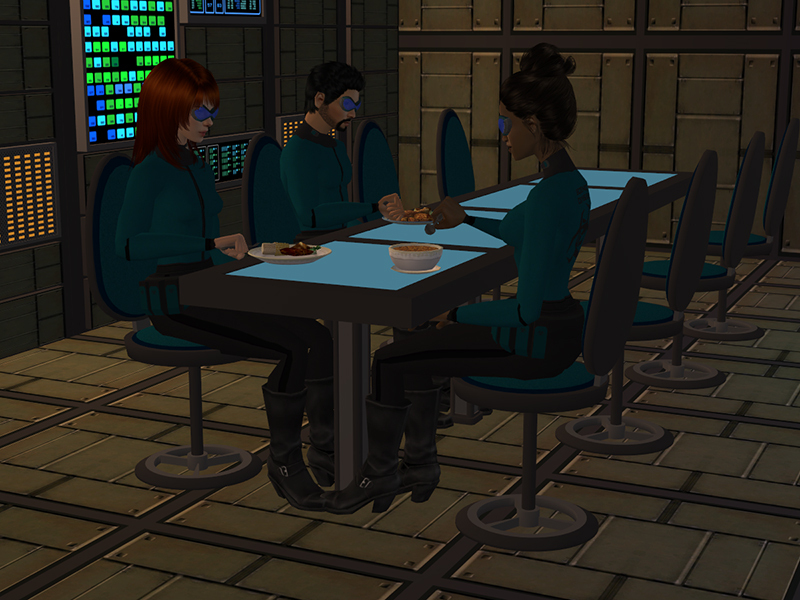 The two-tile unit is the "left half" of a set and is designed to be used with the two-tile replicator. Note: I forgot to include a pic of the 3x2 table, but it's in there. 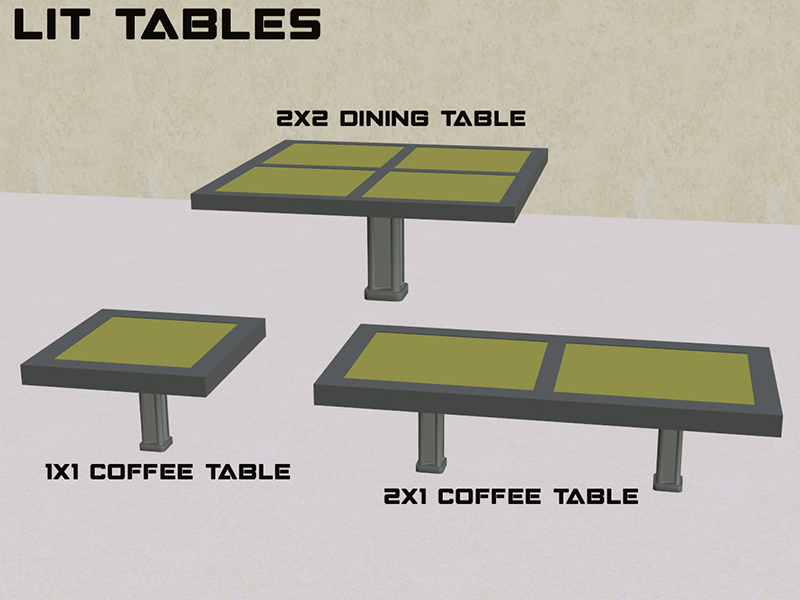 Function: Tables and coffee tables. Nothing special. 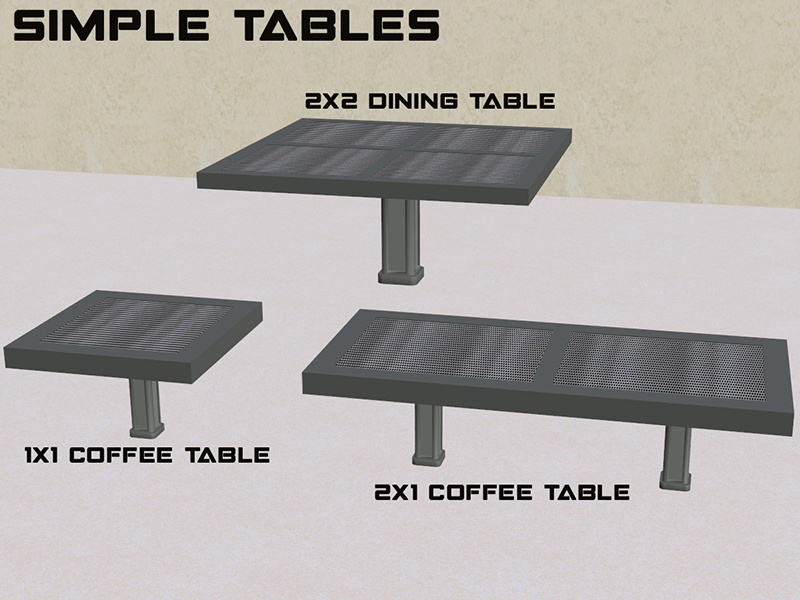 Egghead stuff: They work like regular Maxis tables. Egghead stuff: Nothing of note. 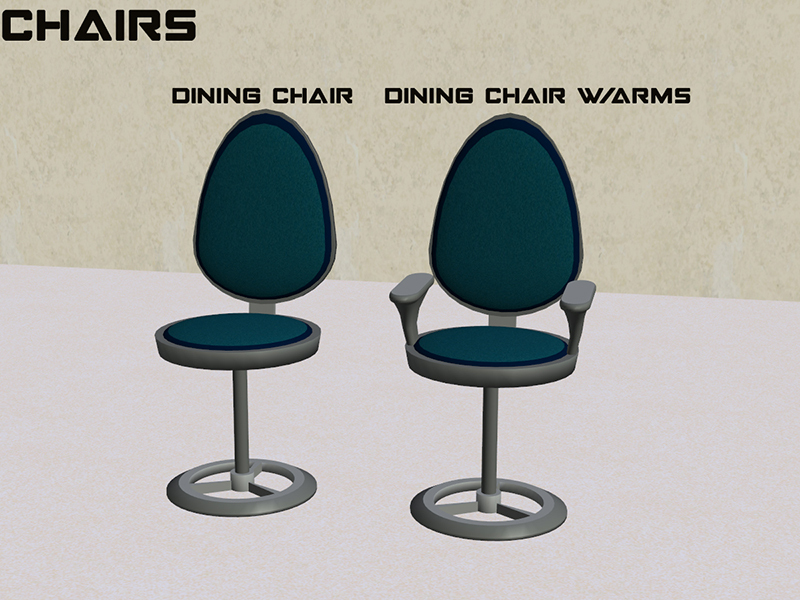 They work just like regular dining chairs. 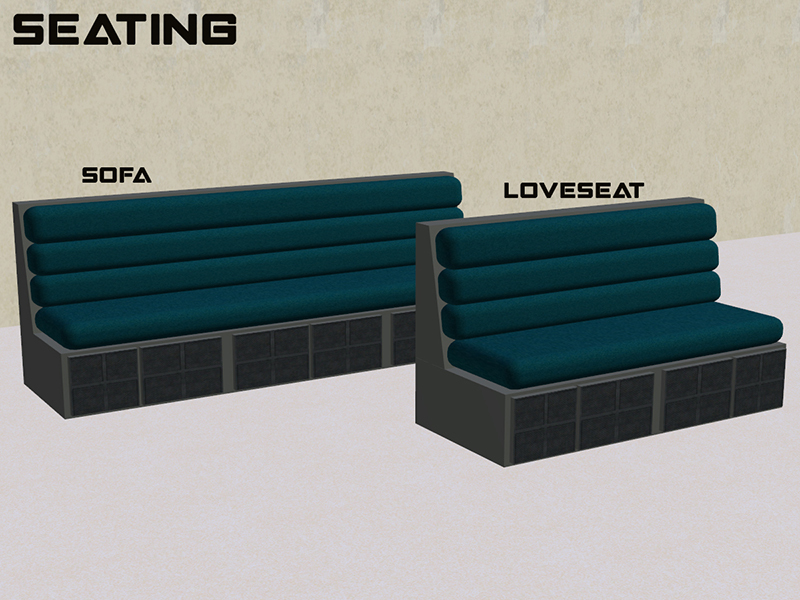 Egghead stuff: No special functions- regular sofa and loveseat. I'm sorry I didn't build more. I was kind of pressed for time to get this project out, so the build is kind of ho-hum. You can build much zazzier sets if you're not doing a quick build. Thank you! I like the Replicator Options. Hi, Xia! I'm glad you like it. 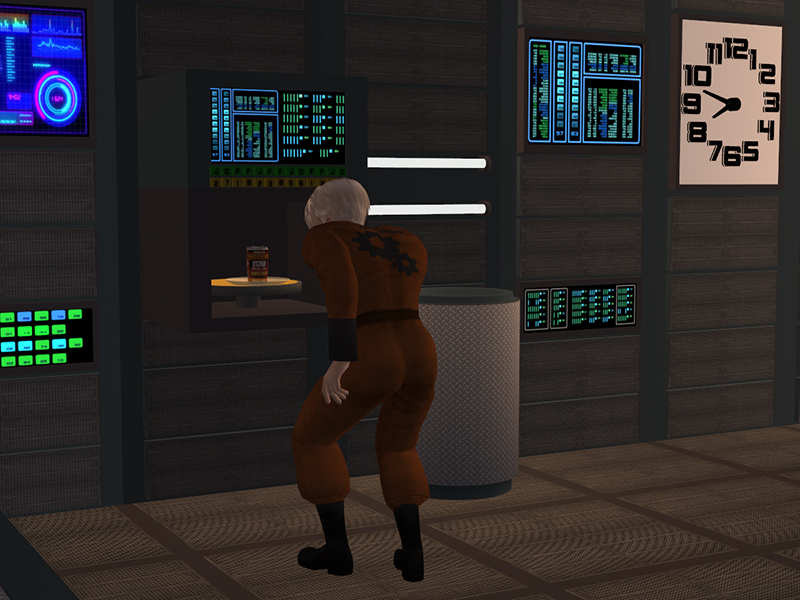 Jason, thanks for the nice SciFi furniture. This is very useful! Hi, Eddie. Thank you. Hopefully, I'll have more pieces to add soon. Thank you for this, it's awesome! Hi, Kim. Glad you like it.